During June shipping community witnessed a sudden rise in maritime crimes in the SE Asia with a total of 21 attacks in one month time. Of course the region always produced high quantities of maritime crime, usually armed robberies and crime of minor to moderate significance, but last month’s events are recorded at least as of the densest in months. Despite that, if we quantify some indicators we will come to some useful conclusions. First of all, the prime countries that this outburst of maritime crime originated is Indonesia and Malaysia. Furthermore the majority of the vessels attacked were locally flagged and/or had local crew. If we a dd to this the history of the region we can come to the conclusion that in many cases the criminals attack on pre-chosen vessels, where they have inside information on the crew and the cargo. Furthermore the attacks are chronologically and locally clustered, which is a strong indicator that one or two criminal syndicates are responsible for them. This kind of action is quite common in pirate hotspots around the world. A syndicate makes a sudden boom of attacks, attracting attention on itself. This in turn makes it a target of other smaller criminal gangs, or the law enforcement, eventually putting it out of business. What we don’t know is at which precise point of the curve the activity is now and how long will it take until it deteriorates. Furthermore we don’t know if the targets of the organized gangs will remain largely local, or if they decide to try their luck on other vessels too. While the possibility of the later remains low, organized gangs generally prefer to act on limited risk, the shipping community must always remain vigilant and adhere to proper security protocols or seek the effective professional advise of experts. 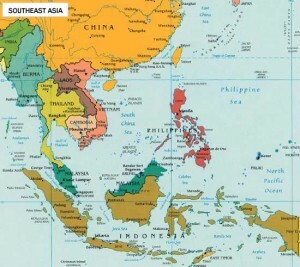 Tagged maritime crime, piracy in SE Asia, recaap, SE Asia.